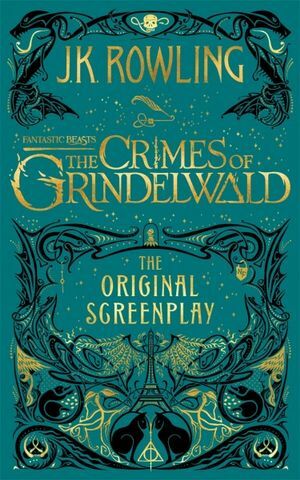 We have a very special copy of Fantastic Beasts: The Crimes of Grindelwald to give away to one lucky winner! This is a beautiful hardcover edition of JK Rowling’s original screenplay with intricate gold detail on the cover (yes, it is the same as all the other editions of this book AKA gorgeous!) only this particular copy is extra special because it has been signed by members of the cast! That is correct, this one little book holds the signatures of Eddie Redmayne, Jude Law, Ezra Miller, Dan Fogler, Katherine Waterston and Alison Sudol!! With the recent release of the new movie, the Fantastic Beasts franchise is well and truly developing it’s own distinct vibe – something separate yet connected to the Harry Potter series. Part supernatural spy thriller, part action extravaganza with a dose of epic family drama and some of the cutest and most adorably awkward romantic moments I have seen on screen in yonks – Fantastic Beasts: The Crimes of Grindelwald is a spectacular feast of a film. It also feels a little darker at times than the Harry Potter series (which you have to admit was plenty dark!). This may be due to the fact that the main characters are not children – or perhaps it’s simply that the movie franchise feels darker than the book series because, for many Potter fans, the books were first experienced in childhood? But lets get back to the giveaway, shall we? All you need to do is to purchase the a copy of Fantastic Beasts : The Crimes of Grindelwald, The Original Screenplay by JK Rowling and/or fill out your details in the form below before midnight, January 31st 2019 and you will go into the draw to win a beautiful and exclusive signed copy! We only have one of these special signed copies so I’m afraid there can only be one one winner! Whoever you are, you lucky future winner, please know that I am deeply jealous of you!! previous postShortlists Announced for 2019 Victorian Premier’s Literary Awards next postSarah’s highly specific (and probably super unhelpful) Christmas Gift Guide!